The Rodgers Group has gone to considerable lengths to carefully select a cadre of verifiable subject matter experts. Cumulatively, they represent some of the most experienced names in their respective fields. 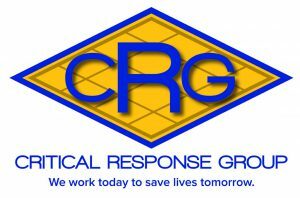 The Rodgers Group’s consultants are experts in law enforcement and fire service operations, and the accreditation programs for both. Extensive subject knowledge is paired with a custom program to meet varying departmental needs to ensure our clients achieve even their most challenging goals. Because the Rodgers Group is an interdisciplinary, research-based organization, each consultant is able to draw from the collective wisdom of other staff members. By choosing the Rodgers Group you will be hiring a highly experienced team with hundreds of years of cumulative experience in law enforcement, fire service, training academy, and communications center management. Our team is experienced and credentialed professionals who have an established and verifiable record of success in securing CALEA, NJSACOP, and Fire Service accreditation. We take great pride in our work and are committed to public safety professionalism. We offer proactive auditing of agency policies and procedures. Our programs and services offer a dynamically synergistic blend of skill sets capable of inoculating agencies against huge civil judgments. Your staff will remain in the field protecting the public, saving tax dollars. The cost for contracting for our services is less than a third of the cost to do it with existing department staff. We will complete the job in less than a quarter of the time that the typical agency takes to complete it in-house.